The AP717 by 3M Aqua-Pure ice maker Water Filter provides you with sparkling fresh ice cubes, fresh tasting water, coffee and beverages. 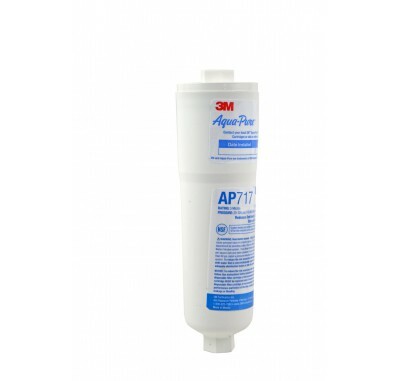 This long lasting filter installs on the cold water feed into your refrigerator. The 3M Aqua-Pure AP 717 filter helps reduce limescale buildup and offers added protection for your ice maker.